By buying this product you can collect up to 78 loyalty points. Your cart will total 78 loyalty points that can be converted into a voucher of 23,40 €. 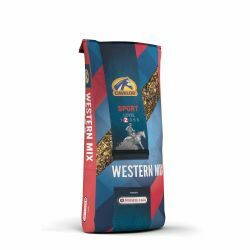 WESTERN MIX is a feed specially suited for the specific build and metabolism of active horses used for western sport. These horses (Quarter Horses, Paints and Appaloosas) are characterized by their strong muscle structure, skeleton, ligaments and tendons. WESTERN MIX is ideally suited for heavier workloads. 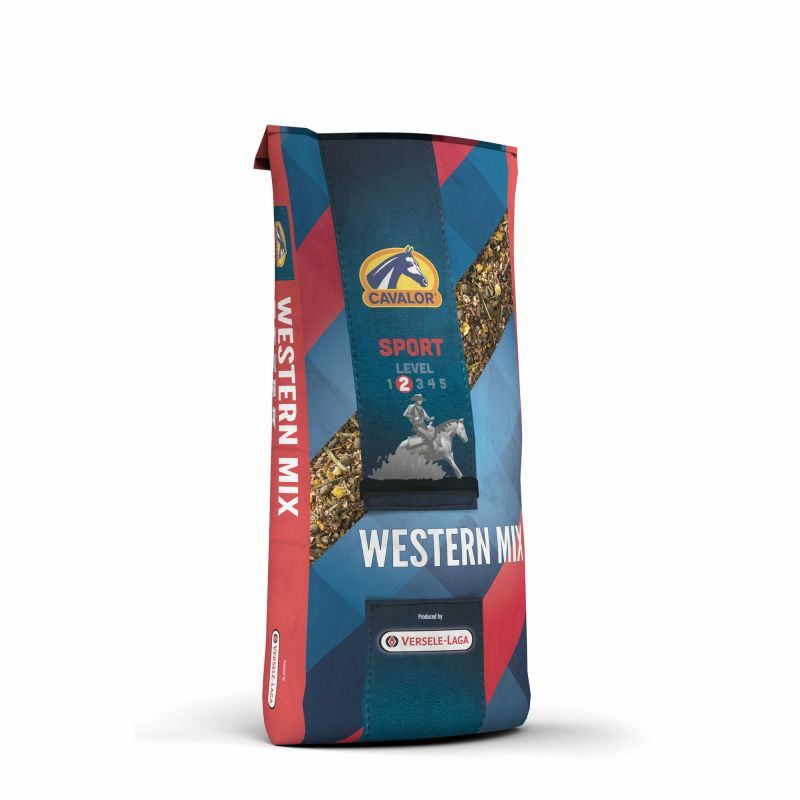 WESTERN MIX contains Muscle Plus, which protects the muscle structure from cell breakdown after heavy exertion. WESTERN MIX also contains Artri-Pro, which provides a maximum support of the skeleton and joints. With WESTERN MIX, muscle fatigue is dispelled and recovery time is shortened. Always give WESTERN MIX in addition to sufficient roughage (at least 5 kg hay and straw). light work - max. 500 g per 100 kg live body weight. medium-heavy work - max. 650 g per 100 kg live body weight. Pro-Energy stands for an optimal supply of energy in the form of nutritional fats and carbohydrates. This is medium term- and long-term energy. Fats are a source for fatty acids and supply approximately 25 percent of overall energy. Muscle Plus provides an increased level of vitamin E and selenium. This protects the red blood cells (oxygen transport) and improves performance in horses, especially in older animals, as they must contend with a labored oxygen metabolism in their tissues.